More sketching from my Clock-Sketch channel. Good poses here, I think I did most of them justice in the time frame I had. 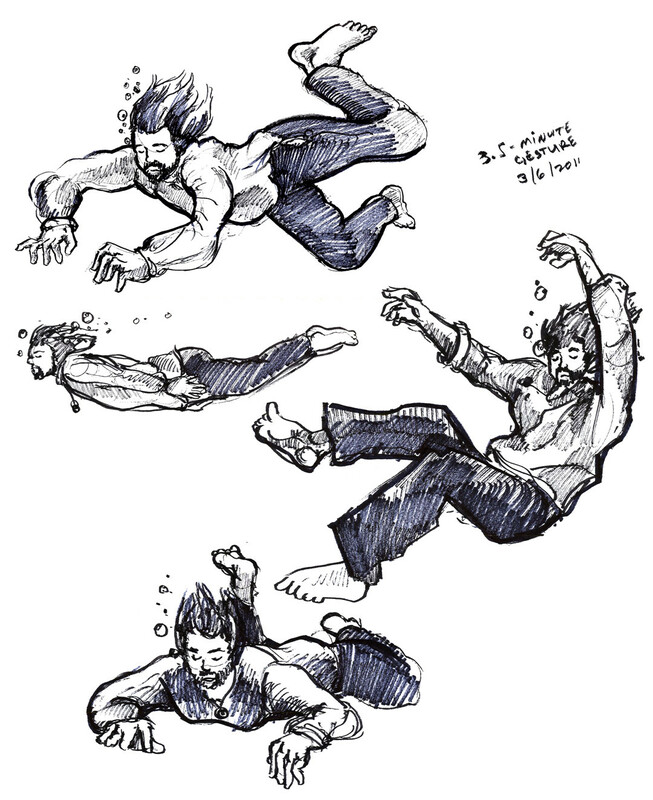 My favorites would be the top left and middle right underwater poses. So much fun! I love drawing characters in these exciting poses. It’s especially great to have underwater reference photos! I hope you enjoy. Feel free to give me constructive criticism on these quick little drawings! As for today, I have a figure drawing FINAL in the mid-afternoon. I’ll be doing a 3-hour drawing on Bristol Board of either a male or female model…or both! I know the male model is one of my good friends so it’s really exciting. It’s about time I break in these new LYRA drawing pencils I got a few months ago. This entry was posted on 03.09.2011 by Ryan M Paxton. 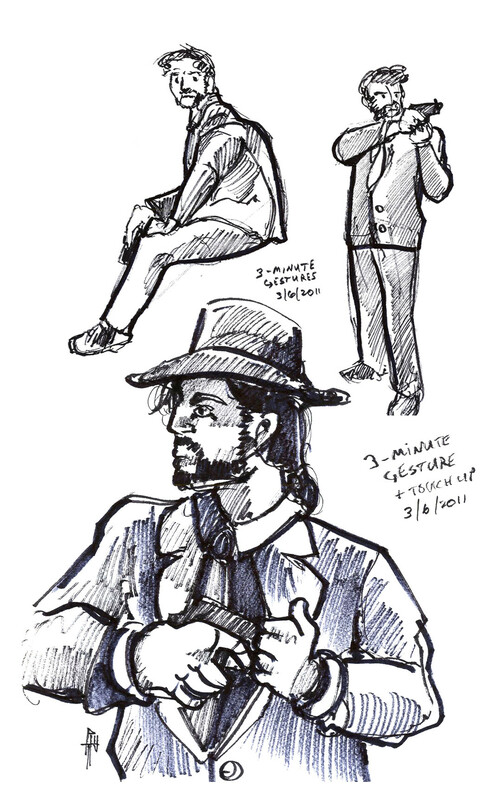 It was filed under Artwork, Clock Sketch and was tagged with anatomy, drawing, figure drawing, gestures, male, marker, pen, sketchbook, sketches. Well, if you read my blog posts you will see that I tell everyone what medium I used for the drawings. Usually it’s ink, but then again I get in these phases of switching back and forth between Flair markers and mechanical pencils. I’m glad you stopped by. Be sure to subscribe so you get all my updates!